Input text: It is dawn. The ground is transparent. The giant skull is shiny white. The skull is 90 inch above the ground. 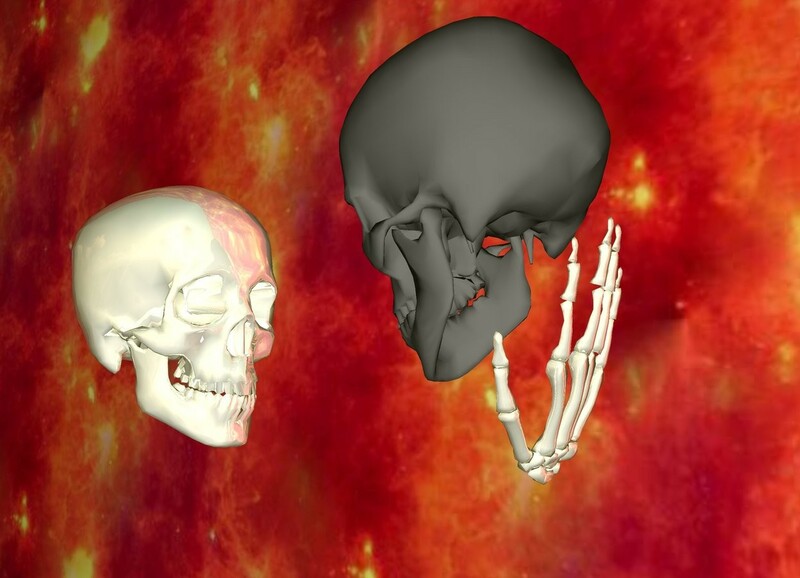 The tiny gray helicopter is in front of the skull. The skull is facing the helicopter. 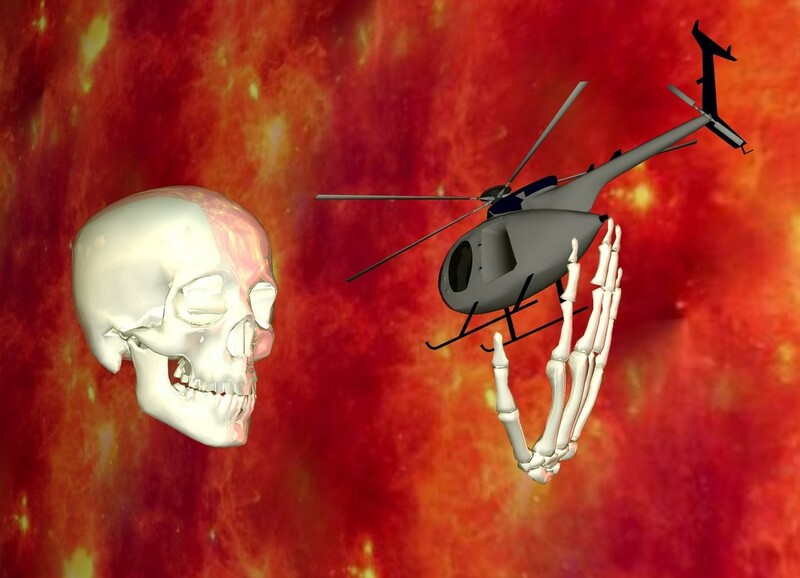 The helicopter is facing the skull. The helicopter is 20 inch in front of the skull. The helicopter is 100 inch above the ground. the helicopter leans forwards. The upside down giant shiny hand is -25 inch under the helicopter. The hand leans forwards. The hand is -50 inch behind the helicopter. The camera light is white. The enormous unreflective wall is fire. The wall is -20 feet away from the skull. The wall is next to the skull. The wall is facing the skull. The wall is above the ground.